Elections on 2nd May. Please remember that these are nothing to do with the bewildering and confusing national situation/Parliament and the "B word", but are local elections to choose councillors to represent Cotgrave and its residents on Rushcliffe Borough Council. B**x*T is not our fault! Richard, Leo and Christine are your three Conservative candidates for the Cotgrave Ward of Rushcliffe Borough Council. You have up to three votes to use on this election, so please vote for us, so that we can continue to ensure improvements and investment in Cotgrave from and via Rushcliffe. This is very important, because at the Council's Budget meeting in March (PDF), dogmatic Rushcliffe Labour voted unanimously against the Budget which includes over a million more pounds for Phase 2 of the Cotgrave centre regeneration. Also hundreds of thousands of pounds on improvements to the Cotgrave and Manvers business units. Fortunately, the Rushcliffe Conservative councillors majority supported it, so investment continues. Please don't risk losing this vital work and investment in Cotgrave - please vote for us. And again, this election is nothing to do with national or European issues. Thank you. We care about matters that our residents also care about and are interested in. One of these is policing, of course. Whilst we have the wonderful new Hub building in Cotgrave which also houses the area Police now, we need to be sure that we get the local police presence and response correct. Richard was able to recently engage with and discuss issues with the Chief Constable of Nottinghamshire. It's a shame that all over the country, so many people chuck litter out, even when there are bins nearby. Fortunately most people are responsible and sensible and want to live in clean and tidy areas. This Saturday, 27th April, some of us will be joining in with the Great Spring Clean. We plan to meet outside the West Furlong shops at 10.30, grab some bin bags and have a tidy up. Please come along and join in! Buses coming back for Owthorpe Road; new service for Hollygate Park and enhanced "822" turns into the "33". For the last few weeks, since news of the 822’s demise came through, transport planners at Nottinghamshire County Council have been working to find a solution/alternative service. Richard (as county councillor) has been working with colleague Councillor John Cottee, who chairs the relevant committee at the county council, and stressed how important the route is. We are now a major step forward and as well as finding a replacement for the 822, we are using it as a chance to make further much needed improvements for residents. What we now know as the 822 will become the 33. A new provider has come to the table who operate similar services in the county including the QMC Medilink and Park & Ride services. They are going to take on part of the current 822 route and enhance it so that it travels into and out of Nottingham (this is a weakness of most of the current 822 timings). Of particular interest to Cotgrave residents, is that it will also go through Hollygate Park (Colliers Way and Harvest Drive) and on to Owthorpe Road via Ringleas to serve Daleside area (who have been without a viable bus service since the loss of the 822’s predecessor) The route then carries on to Tollerton, Morrisons, West Bridgford, the station and Friar Lane. This new service is separate and in addition to the Trent Barton Cotgrave Connection, and will be primarily hourly. Final details of times etc are being worked on and here is a draft timetable (PDF) which is pretty much finalised. The current 822 and route stays until May, so this 33 proposal is looking to what happens when the 822 finishes. We are hopeful that this proposed new service will mean that more people will be able and want to use the new 33. Latest news and updates about Cotgrave Centre's regeneration here and at Rushcliffe Borough Council's. The millions of pounds being invested in Cotgrave has been led and supported by the Conservative led borough council. We must keep this going and we will with your support! Hello from your Cotgrave Conservative councillors/current candidates. We are your local representatives looking after the interests of all residents and businesses in Cotgrave in connection with local government - Nottinghamshire County Council, Rushcliffe Borough Council, and Cotgrave Town Council. We are here to serve all residents and you are very welcome to contact us - see below for details. He has been a governor of Candleby Lane school from when the school started, and prior to that was chairman of governors at the infant and nursery school, and was heavily involved in the negotiations and planning for the merger of the infant and primary schools to create Candleby Lane school. He is very well known in the area and is always available to meet and help residents with any queries. Leo Healy has lived in Cotgrave for several years having lived in other parts of Rushcliffe. He is a regular volunteer on the Cotgrave Speedwatch and Lorrywatch groups. 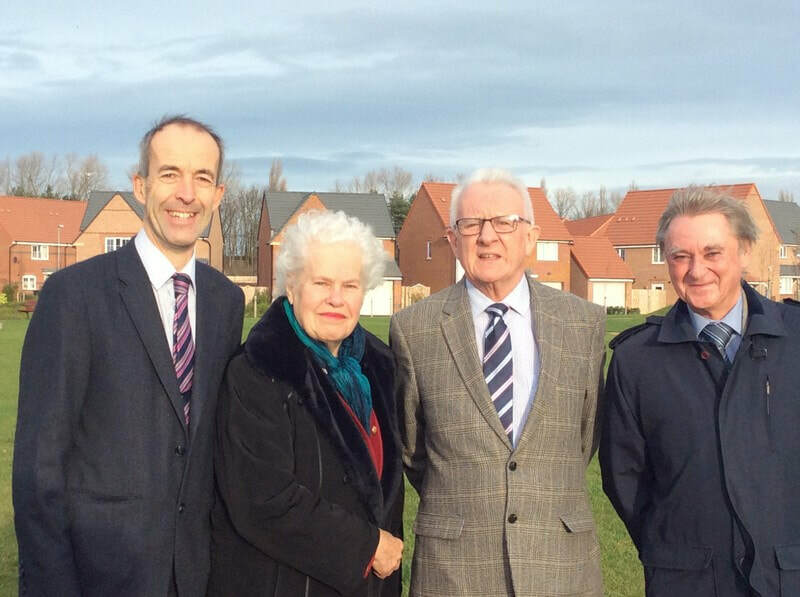 With the investment that is coming to Cotgrave as a result of the Hollygate Park housing and regeneration of the precinct, he hopes to play his part as a newly elected town councillor. Christine Jeffreys is a real Cotgrave stalwart! She and her husband David have lived in Cotgrave for over 50 years. A former Nottinghamshire county councillor and Rushcliffe Borough councillor for Cotgrave, Christine was also Mayor of Rushcliffe in the early 2000s. She is currently (2018-19) Deputy Mayor of Rushcliffe. Christine never misses an opportunity to talk with great knowledge and enthusiasm about Cotgrave, its history and really "bangs the drum" for Cotgrave. Stuart Ellis is quite new to Cotgrave. He moved to one of the new houses at Hollygate Park, having moved from Derbyshire for family reasons - grandchildren duties! 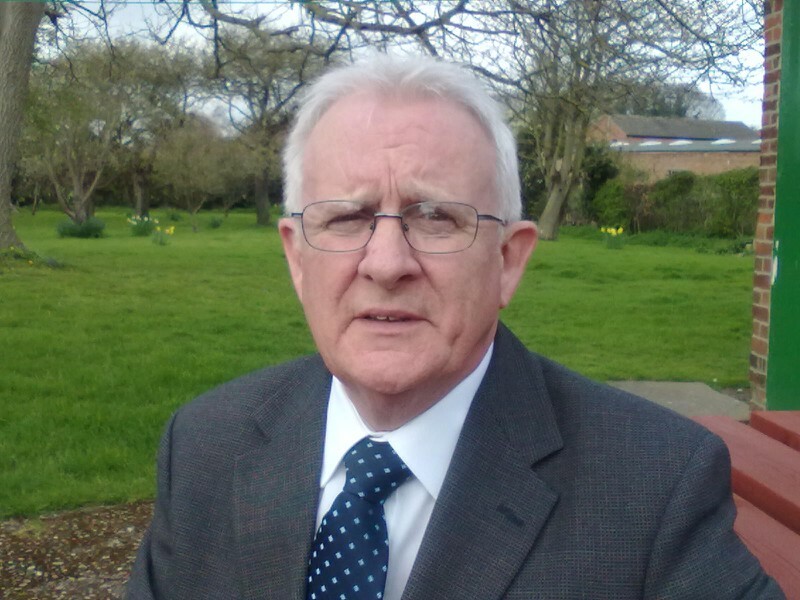 Stuart is an experienced councillor, having until recently been a member of Derbyshire County Council, North East Derbyshire District Council, and his local parish council. He recently joined Cotgrave Town Council through a co-option process. We all take our roles and responsibilities seriously and do our best to get things right. Being a councillor means getting involved with many aspects of local life - and lots of meetings at all hours of the day and night, of course and working for the community. At the end of the day, we all want to achieve what is right for Cotgrave and its residents. Of course, we need to know what interests and concerns you, so do please contact us. You can message us via the contact box below. Cotgrave is a great place and is on the up. We all chose to live here, and there is so much to be proud of and also to look forward to; the rural feel and the surrounding countryside, but at the same time easy access to Nottingham, Newark, Leicester and beyond. The services and facilities in Cotgrave - a very popular leisure centre, golf course, local and national shops, outstanding and excellent schools, the fantastic country park and... its people! ﻿Join us! If you would like to join or return to us (we are part of the Rushcliffe Conservative Association) or add to our numbers by assisting with activities, please contact us either below or directly, or via the Rushcliffe Conservatives website. We look forward to seeing/hearing from you. You can contact us online here, or telephone (0115) 948 4533. People sometimes ask, very understandably, about the differences between the various councils who serve us. It can sometimes get a bit confusing, even for those of us who are involved! Cotgrave has three different councils; Nottinghamshire County Council, which as its name says, is the county council for the whole of Nottinghamshire, also known as "top tier" in local government; Rushcliffe Borough Council, which is a district or "second tier", and Cotgrave Town Council, which is a parish council, or "third tier". They have different roles and responsibilities. County councils are responsible for services across the whole of a county, including education, transport, planning, fire and public safety, adult health and social care, libraries, waste management, trading standards, country parks. Parish/town - allotments, community parks/play areas, grants to help local organisations, consultation on neighbourhood planning, street litter/leaves/dog mess clearing.